I was flattered to be interviewed by Lane Kennedy, the co-leader of the San Francisco Mompreneurs group and featured as the June Mompreneur. Check out the interview below and see how I started the creative process to bring the Kids Yoga Stories alive. 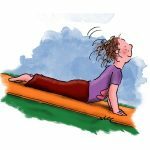 I can't emphasize … [Read more...] about How did Kids Yoga Stories get started? What is One Way to Teach Children about Happiness? 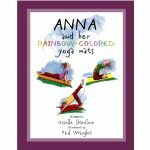 I'm super excited to announce the release of ANNA AND HER RAINBOW-COLORED YOGA MATS - a yogi-inspired story of Anna who finds happiness on her yoga mat at recess time. Check it out to see if her friends accept her and join the fun! 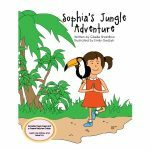 Great gift for a 4 to 8 year old if you are … [Read more...] about What is One Way to Teach Children about Happiness? 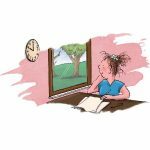 How can I get regular tips on reading, movement, and fun? Come check out our Kids Yoga Stories Facebook page and get tidbits of fun, yoga, reading, and adventure. 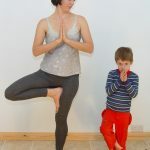 Share your "I am Yoga" pictures with snaps of you and your children 'out and about' doing yoga poses. 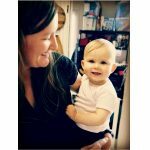 Above is my teacher, Katie Manitsas, from Jivamukti Yoga Sydney with … [Read more...] about How can I get regular tips on reading, movement, and fun?